but the weather had other plans so it's going up now. Pumpkin picking with JD is the thing I look forward to most in Autumn. 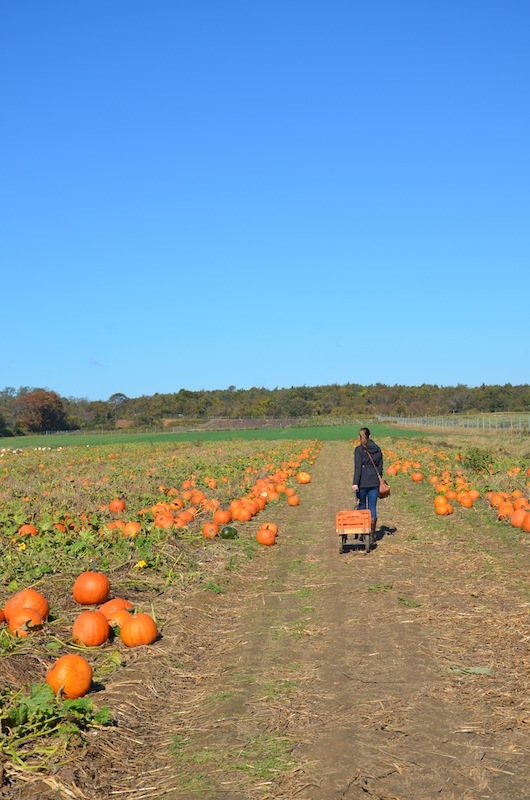 Each year, we head out to the North Fork of Long Island to pick our pumpkings off the vine. I have such fond memories of our pumpkin picking adventures over the years. to get into the field or we're the only people there. and on the weekends, there is even a shuttle between them. any further down the road, making the second Harbes my pumpkin farm of choice. and parked in the open field opposite the corn maze with only five other cars. We had the entire place to ourselves. It was perfect. 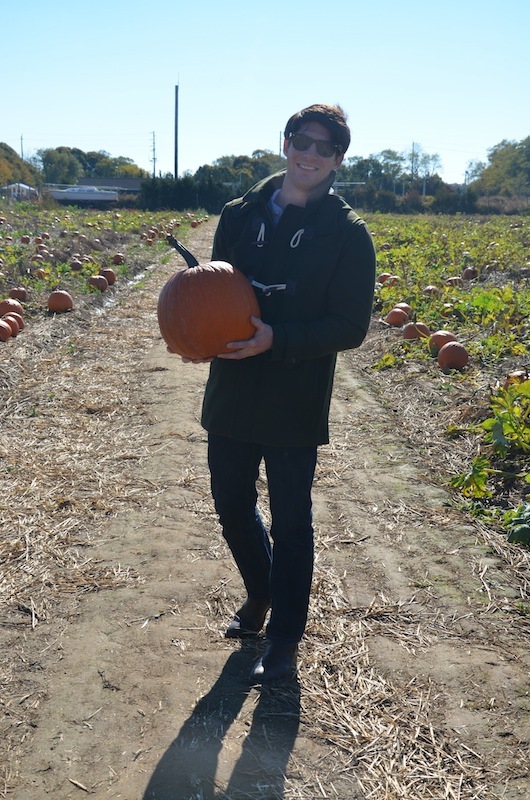 Of course, I had to choose the heaviest pumpkin I could find. We walked up and down the rows of pumpkins and finally found two. A man walking by with his wife said "I've spent less time buying a car." It's so true. 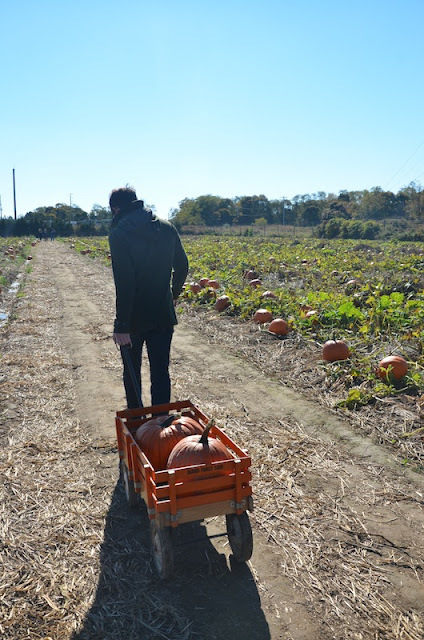 Picking a pumpkin can be a time consuming all right. This year we have decided not to carve our pumpkins. We're planning to eat them instead! There are so many recipes I want to try. Nice blog :) do You want follow each other?? ?